A category that covers all types of literary reviews including books, poetry and short stories. This is an update of the post originally published on October 31, 2013. What makes the good scary story? I always thought that ghost tales told around a fire or in a dark room pretty much covered the genre. That it would be the suspense and mind-boggling monsters that gave people nightmares. ‘The Blacksmith’ by Susan Shultz is about love, heartbreak, blood, and murder in graveyards. Spoiler: It was a great read, even for a grown up, scaredy cat like me. It wasn’t until I read “The Blacksmith“, that I thought about a different type of “scary story.” This one is more of a Dark or Gothic Romance. It relies on legitimate fears of loss and the flaws in human nature to make you feel uncomfortable. Don’t misunderstand — if you like blood, ghosts and sociopaths, “The Blacksmith” has that for you. Honestly, I have never read a ‘horror’ story willingly. I only read this book because Susan is my friend and an excellent writer. If you’re willing to read something different (and quite good), I promise you’ll survive! The main character, Ainsley is a librarian in a “sleepy New England town” by day and a friend to the dead in her backyard at night. Her favorite companion is the Blacksmith, despite his attempts to pull her away from her one real friend: Sam. Ainsley tells us that Blacksmith is a strong presence and reminds her that she belongs in the graveyard with him. She acknowledges who she appears to be early on: a monster. Susan Shultz has a way of making something terrible sound so eloquent through a lonely woman’s eyes. In about 50 e-pages, the story reveals a character who feels love and heartache the way a person might describe feeling a ghost limb. She ignores it and tries to suppresses it with a deranged hobby — murdering men and eating their hearts. What makes Ainsley such a great character are her flaws, but the question is whether it’s the blood on her hands or her loneliness that destroys her. With a character so extreme and seemingly disturbed, I could almost understand the reasons for her actions than another who is more introspective or talkative. What Ainsley does is almost an animal instinct due to her pain and a visceral reaction to something she is missing in life. Susan is also able to write in other stories within Ainsley’s — those of the people in her graveyard. We learn about those who once inhabited her isolated house and who are now a part of her life. In an interview with a local newspaper editor, Susan explains that the duality we see in Ainsley (between her terrifying deeds and her loving nature) are inspired from her own life. It’s worthwhile to read the whole story by David DesRoches here. “It’s between what we struggle with and what we share with the outside world and who we really are,” [Susan] said. The e-book is available here and won’t take you more than an hour or so to read. The whole story is written well, but the ending will leave you wondering about Ainsley’s true nature, if not the motivations of all people.If you get a chance to read it, let me know what you think.Follow Susan Shultz‘s author page on Facebook for updates. Order the second book from ‘Tales from the Graveyard‘, and third book ‘Dirt‘ on Amazon. If you’re looking for something classic and that will only disturb you slightly try “The Tell-Tale Heart” by Edgar Allan Poe, “Young Goodman Brown” by Nathaniel Hawthorne, or pick up Susan’s inspiration — “We Have Always Lived in the Castle” by Shirley Jackson. On this day in 1960, the French-Algerian writer Albert Camus died in a car accident at age 46. 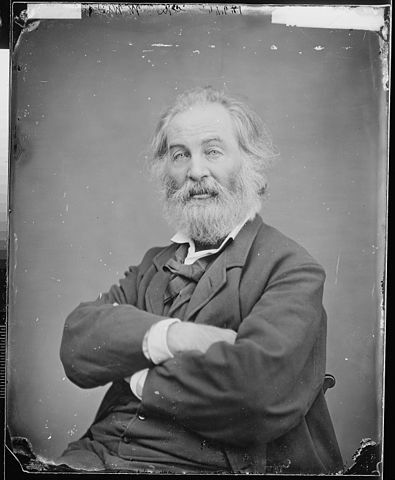 He was awarded a Nobel Prize in Literature only three years before “for his important literary production, which with clear-sighted earnestness illuminates the problems of the human conscience in our times”. Camus is well known for his essay collections, such as “The Myth of Sisyphus”, and his novels “The Fall” and “The Stranger”. His work reflected his belief in the philosophical concept of “the absurd.” As an extension of existentialism, it maintained that human beings innately search for meaning in the universe but will never find any (hence, their search is “absurd”). Don’t let that idea turn you away from Camus’ work. He believed that if we accept this fact, we are free to live our lives to the fullest and can find happiness. There’s no doubt that life can be strange, difficult and confusing but Kurt Vonnegut —a veteran, writer and political dissident — knew that art has the potential to alleviate some of the burden. I’ve read interviews where he claimed that artists have little effect in the wider scope of the world but in his writing there are pearls of wisdom that can’t be written off. In an isolated moment from “Slaughterhouse-Five” an alien tells a human what life is really about. Billy Pilgrim, a World War II veteran, is transported in time and space to put his world into perspective. It’s a strange premise, but sometimes you need an extraterrestrial to tell you what’s what. Don’t forget to click on the post to comment, or leave your thoughts on Facebook. I dropped Elsewhere by Richard Russo into the “return here” slot at my library the other day with some hesitation. My shabby bookmark sat more than halfway to the end of Russo’s memoir but I really could not go on. It’s rare that I stop reading a book, even if I’m bored. I anticipate that it will get better, or that the end will be the redemption. Perhaps it’s important that I rarely read memoirs. 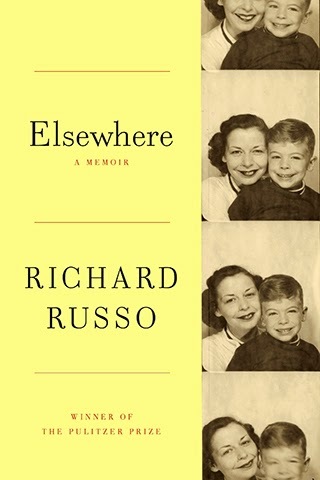 Russo’s life was plenty interesting — he detailed the struggle he faced with a mother who believed that they were one person and thus should always be together. It seemed that he was slow to realize, or unwilling, that his mother had dealt with real mental illness her entire life. What drew me to the book initially, though I had only seen Russo’s name attached to the excellently edited “Best American Short Stories 2010”, was a NPR interview. It was exciting to wait for Russo’s book to become available at my local library. I like finding books that have familiar topics and might inspire me to write about my feelings on them. In this case, I thought I could empathize with having a close family member affected Alzheimer’s. Perhaps if it was fiction. Perhaps if the writing style was different. I appreciated the push-and-pull of Russo’s relationship with his needy mother in a literary way. Unfortunately, I didn’t want to stick around until the end — I let go of the painful read before it was due back. If anyone else takes a swing at this book, let me know. I’m curious about your take on Elsewhere. Share your experience in the comments section below. I want to be a heart. I want to be a nightingale. I want to be my voice. become the color of love!